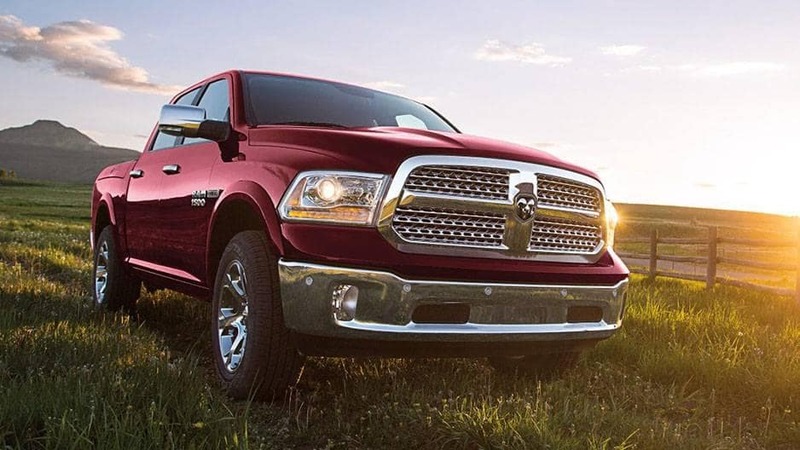 The new Ram 1500 Classic is seamless, robust, and satisfyingly luxurious. The new Ram 1500 is seamless, robust, and satisfyingly luxurious. 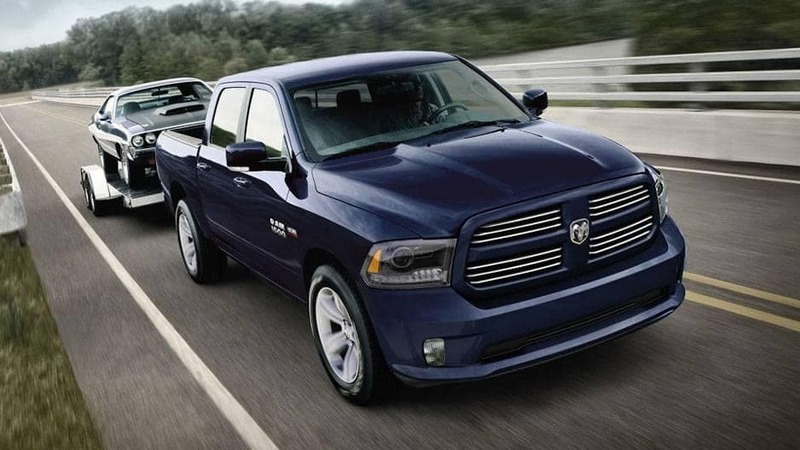 Travel in style, comfort, and top-of-the-line performance with the new Ram 1500. 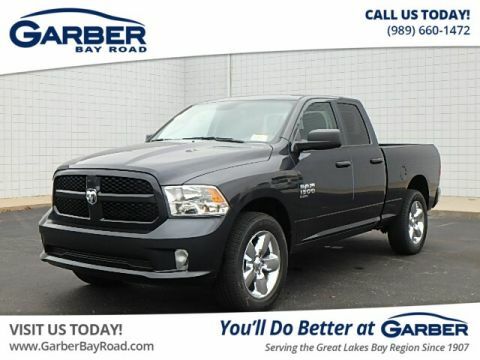 This full-sized pickup truck is available in three cab types, so you can select the option that best suits your needs. 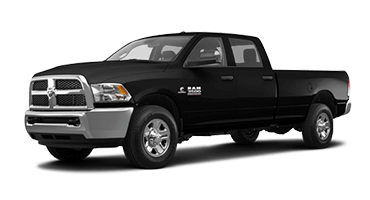 Whether it’s the economical Regular Cab, the spacious Crew Cab, or the heavy duty Quad Cab®, the Ram 1500 can accommodate. The exterior speaks for itself with the highly functional RamBox® Cargo Management System and Active-Level™ Air Suspension to reduce drag and increase efficiency while driving. And, Uconnect® 8.4 NAV offers 3-D terrain maps, SiriusXM Travel Link, and more so you never lose your way. With that said, the Ram 1500 is the ultimate mode of transportation for work or pleasure. Whether it’s for transporting tools with you to work in Midland or hitching up the fishing boat for a day in the Saginaw Bay, look no further than the 1500. 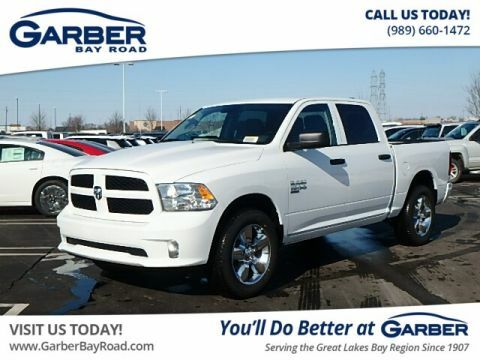 Stop in to Garber Chrysler Dodge Jeep RAM in Saginaw today and take this beauty for a test drive. With a signature look that has been owning the road for years, the new Ram 1500 continues to impress with improved aerodynamics and a sport-driven nature. It’s time to stop being an envious onlooker and time to start commanding the road yourself in the bold 1500. Equipped to carry all of your essentials and more, the Ram 1500 features the available RamBox Cargo Management System built into the side rails of the truck bed. The system also includes a cargo bed extender and divider, and bed rails with four adjustable cleats. Adventure is waiting. Forget about digging for your keys when available remote keyless entry allows you to unlock the vehicle with the touch of your hand to the driver or front passenger door handle. Make accessibility as simple as possible with the available wheel-to-wheel side steps in the all-new Ram 1500. Not only do they add an additional hint of styling, but they make getting into your vehicle easy and at the end of the day, that’s what truly matters. Let your headlights do the work for you with automatic high beam control, switching on when detecting low-light conditions and off upon sensing another vehicle’s headlights or taillights. Don’t ever leave your visibility to chance. The new Ram 1500 is available in three different body styles and the choice is yours between Crew, Quad Cab®, or Regular Cab®. 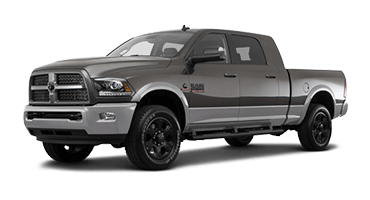 Whether you’re in the market for a truck that comfortably accommodates passengers, one that’s meant for work with a long bed, or something in-between – Ram can cater to your needs. Yes, the exterior of the new Ram 1500 is bold and mighty, but how do you balance such a thrilling exterior with its interior? 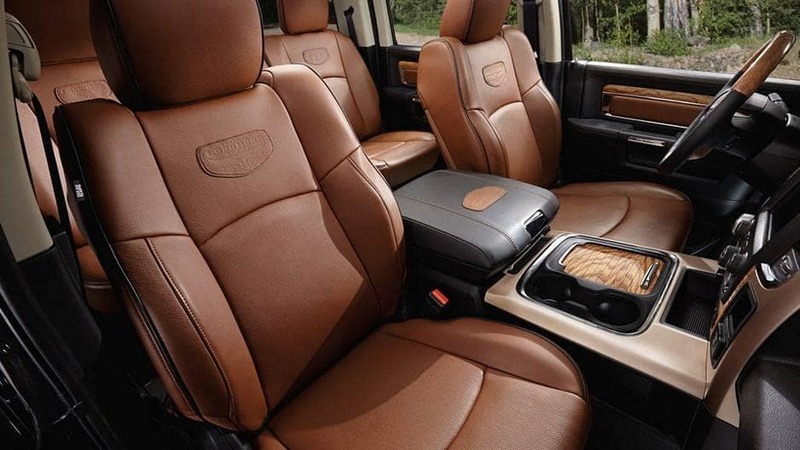 Ram designers decked out the interior with lavish luxuries that make it as comfortable and convenient as it is fierce. The new 1500 is full of seating combinations to accommodate all of your passenger and non-passenger needs. Specifically, the 40/20/40 split-bench front seat is available on the Crew and Quad Cab® options with seating up to six people. Enjoy the 60/40 rear split folding seat that allows you to fold one or both seats to accommodate seating options or cargo-carrying combinations. It’s always good to have a certain level of versatility for the road. Whether it’s an icy cold day or a sweltering hot one, the 1500 is prepared to keep you content with available heated and ventilated front seats. Heated second-row seats afford your passengers the same caliber of comfort. Never settle for anything less than pure comfort and convenience when it comes to your driving experience. The new Ram 1500 features power adjustable pedals that allow the driver to alter the position of the accelerator and brake pedals with a switch, so you can get them right where you want. Bring the outdoors, indoors with available real wood accents integrated in the paneling throughout the 1500. You’re bound to up your class with this European-sourced wood while keeping it rugged at the same time. The days of a bare-bones truck are over, at least for the all-new Ram 1500, with technology that rivals some of the best on the market. Listen to your music through an unmatched audio system, interact with your vehicle by speaking to it, and so much more!. Uconnect is available to you in the new 1500 and packed with every feature you desire. The system features a massive 8.4 inch high-resolution touchscreen, Bluetooth® streaming audio, hands-free calling with Voice Command, and SiriusXM® satellite radio. 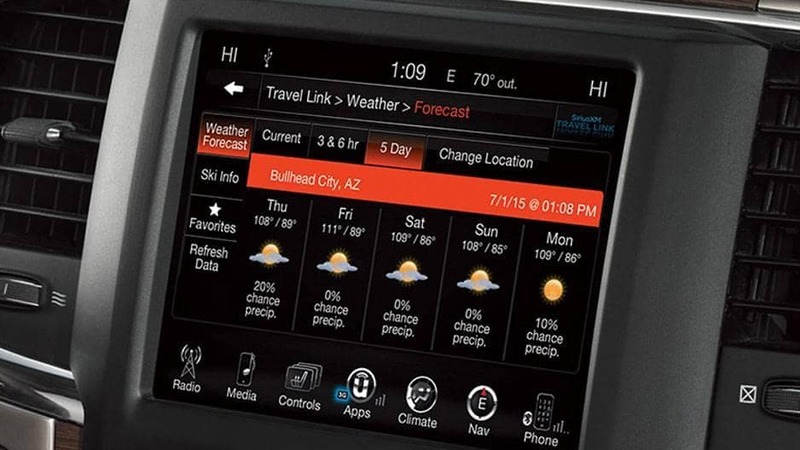 Stay on route with available Uconnect 8.4 NAV system including Navigation with 3-D terrain maps, SiriusXM Traffic, and SiriusXM Travel Link. It’s the perfect way to make it to every destination you have in mind while minimizing the little frustrations. Alpine sound systems have topped the charts for years as a result of their crisp sound and high-quality performance. Ram designers implemented an available nine-speaker Alpine premium audio system with a subwoofer and 12-channel amplifier in the 1500. Simply put – take your music to the next level. The available Driver Information Digital Cluster is viewable on a 7-inch color display showcasing the information most relevant to you. You can customize the display to align the performance indicators with your needs; its location in the instrument panels allows for quick and safe glances. Eliminate the distraction of reaching for the controls with available steering wheel mounted audio controls. What may seem like such a small detail can make the world of a difference when it comes to your focus on the road – try it out in the new 1500. In any situation and weather condition, the new Ram 1500 is equipped to protect you. 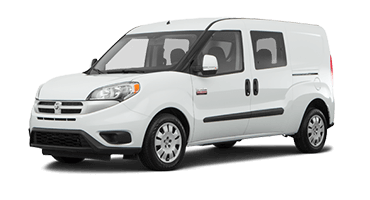 And, not only is it built strong and lined with an advanced airbag system, it is also prepared with parking assistance, keyless entry, and a theft deterrent system. Opt for the available ParkSense® Front and Rear Park Assist System that functions like eyes in the back of your head and an extra set in the front by detecting your proximity to objects you may not be able to see. As you approach an object, the system will provide visual and audible alerts to avoid impact. It’s tough to keep an eye on what’s behind you, especially when it comes to driving a truck. That’s why the Ram 1500 features ParkView Rear Back-Up Camera which displays an image of what’s behind you to help you stay aware of your surroundings. Peace of mind comes with knowing your belongings are safe and secure. 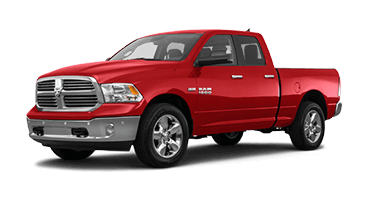 Ram engineers ensure this with the AllSecure Central Locking System which gives you the ability to unlock and lock your doors, tailgate, and cargo box at the press of a button on the key fob. In the event someone attempts to steal your vehicle with an invalid key, the engine will shut off in two seconds thanks to the Sentry Key® Theft Deterrent System. It’s your vehicle and no one has the right to take it away from you. Changes in temperature can cause fluctuations in your tire pressure which can become unsafe if not taken care of. 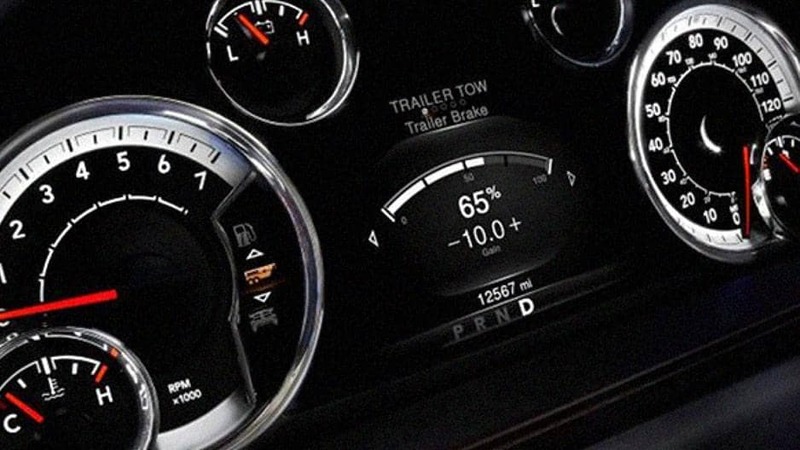 The Ram 1500 helps you keep tabs on your tires with the tire pressure monitoring display for your convenience. One thing trucks are commonly known for is their ability to tow heavy loads and this notion is no stranger to the new Ram 1500. It can tow up to 10,620 pounds so you can easily hitch up just about anything and bring it along with you. Surprised to find this available sport-minded engine in the new Ram 1500? Don’t be. It only makes sense that you would pop the hood of this beast to find a powerful engine that matches the rest of the vehicle. Enjoy a whopping 395 horsepower and 410 pounds-feet of torque. Efficiency in a truck? You bet. 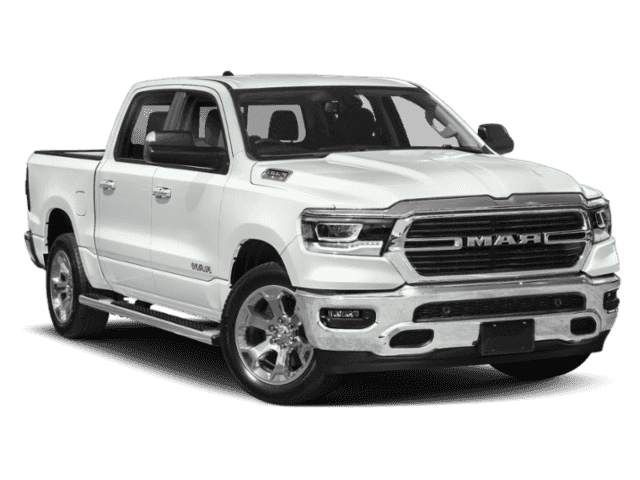 Not only is the new Ram 1500 the industry’s only half-ton pickup with an available diesel engine, it achieves a Best-in-Class fuel economy of 29 mpg highway and a driving range of up to 754 highway miles. Strike a balance between power and efficiency with the standard 3.6L Pentastar V6 engine featuring Variable Valve Timing with a Thermal Management System. This system helps the vehicle achieve maximum power, performance, and efficiency. 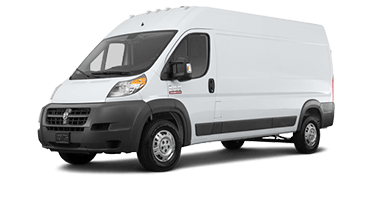 Standard on the new 1500 is the TorqueFlite eight-speed automatic transmission that delivers seamless shifts and acceleration, as well as a Thermal Management System that manages the temperature for premier fuel economy and durability. Improve the aerodynamics and performance of your new Ram 1500 with available Active-Level™ Four-Corner Air Suspension. You can manually adjust the height of your vehicle from five settings or let your vehicle do it on its own by automatically lowering the truck at highway speeds. Hauling a heavy load adds another element to your drive. That’s why the new Ram 1500 has helpful features like Hill Start Assist which maintains the brake pressure for you when switching from the brakes to the accelerator. And, Trailer Sway Control detects a swaying trailer and applies the brakes necessary to regain control. Based on 91 Consumer Ratings for the 2011 – 2016 models. 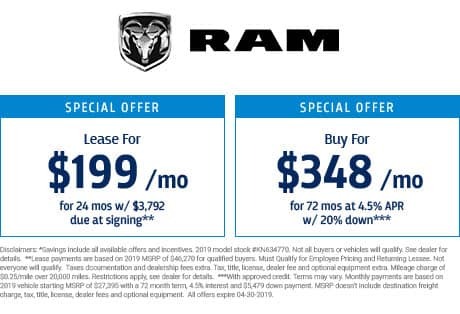 Choose efficiency, power, or opt for something in the middle in the new Ram 1500; with stellar engine options from EcoDiesel, to Hemi, all the way to the trusty Pentastar. And, perfectly accommodating all three of these choices is an eight-speed TorqueFlite® transmission, making all of your shifts effortless. 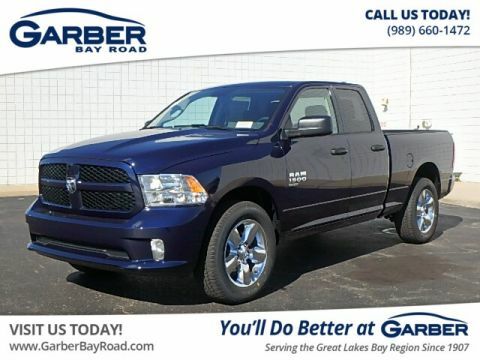 Trucks are known for towing, and the Ram 1500 definitely falls into that category with the ability to pull up to 10,620 pounds as well as take on any terrain with Hill Start Assist and Trailer Sway Control. 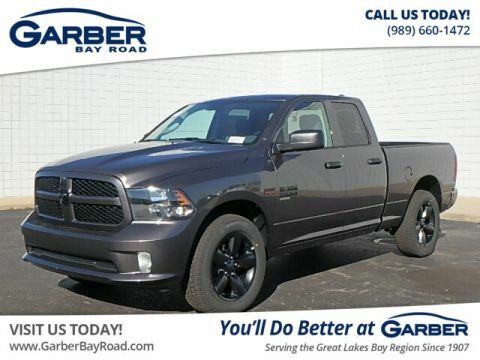 It’s time for you to experience the unparalleled capability of the new 1500 – come down to Garber Chrysler Dodge Jeep RAM on Bay Road in Saginaw for a test drive today!